We have in our store a high quality range of Sodium Nitrate that stands out of the rest due to its optimum chemical properties, high grade and cost effectiveness. 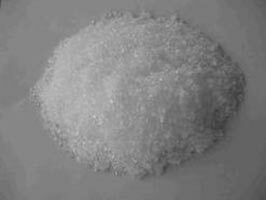 We are a reputed name, engaged in exporting & supplying of Sodium Nitrate in Hong Kong. Buyers can feel free to place even bulk orders with us; we assure time-bound deliveries of consignments. Chloridum (Na\Cl) Content (As Dry Basis) : 0.10max.